The best cannabis strains for fibromyalgia are strains that will address the complex range of symptoms that fibromyalgia sufferers face. Notably the most troublesome symptom is extreme chronic pain often is widespread throughout muscles, joints and bones. As a result patients are often in such severe pain that these areas are frequently tender to the touch. Furthermore fibromyalgia patients experience many sleep disturbances as it is virtually impossible to sleep with a chronic pain condition. As a result patients left sleep deprived and in pain making it impossible to function and the patient often feeling debilitated and depressed. Sadly patients are left with the option of resorting to nasty pharmaceuticals that have crazy side effects of their own. Lack of bedside manner and empathy from doctors generally leave patients feeling hopeless and despair not to mention out of options. Luckily marijuana can provide almost instant relief to the most bothersome symptoms of this intensely painful condition. Moreover depending on preference patients can experience periods of extended symptom relief and an overall better quality of life. 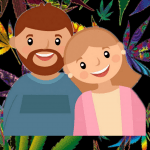 There so many options available from smoking flower, vaporizing cannabis not to mention edibles which are well known for long periods of pain relief and sleep. There are even options that have little to no THC which is causes the high feeling which many also find therapeutic Although not always an option for some. 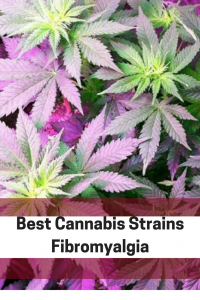 Keeping this in mind here are a few of the best cannabis strains for fibromyalgia. 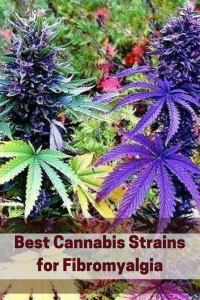 These cannabis strains below are some of the most well known and henceforth the best marijuana strains for fibromyalgia. Not only is this a pure sativa but this strain is absolutely amazing for pain meaning you will have abundant energy and phenomenal pain relief. Additionally this strain is fantastic for stress and depression which is very real for those with chronic pain. People who use this strain really like it because it provides some of the best pain relief without leaving the patient to high to function. 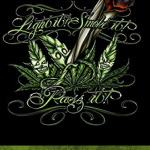 Overall this is one of the best sativa strains for fibromyalgia. 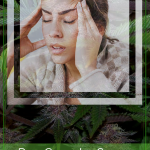 Ideal for sleep related fibromyalgia problems Romulan will help ease pain from nerve damage but also help you get some desperately needed rest. If muscle spams are a big problem for you then try this strain first. Best for night time use as this will promote sleep therefore helping you wake up refreshed. Indeed this is truly a very powerful and potent healing ally in helping with fibromyalgia. Easily one of the best hybrids among the medical marijuana community, Cannatonic is a powerhouse among the high CBD cannabis strains. Perfect for daytime use as the psychoactive effects are rather mild meaning you can function well while feeling great relief from symptoms. 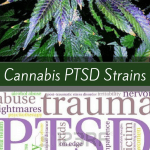 Another reason this strain is therapeutic as it aids with mental focus and clarity which is something people with chronic pain and more specifically fibromyalgia contend with. Extremely potent and my favorite strain for chronic pain, Fire OG is a mainstay in the fibromyalgia cannabis community. Understandably so as this strain is a hybrid comprised of OG Kush and San Fernando Valley OG Kush great therapeutic strains in their own right. As a result those who try this tend to experience prolonged periods with pain relief and body relaxation. Intense body high and high THC levels make this strain one of the best fibromyalgia marijuana strains available. In fact this is absolutely amazing for pain relief and relaxation. Aside from being great for depression this strain is also ideal for being active as this typically does not cause couch lock. 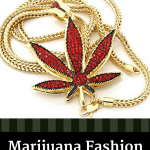 Although this varies depending on tolerance and experience level of smoker. All things considered this strain is great well balanced strain that provides great pain relief and helps with inflammation and muscle spasms. In conclusion fibromyalgia creates huge quality of life issues for many. While science is slowly catching up, it is evident from patients that marijuana provides phenomenal fibromyalgia relief for the most debilitating of symptoms. Below you will find some of the best seeds for strains that help with symptom relief of fibromyalgia. 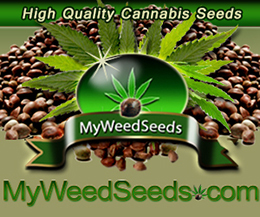 As always observe legal laws in your state and check out all of our cannabis growing tips.